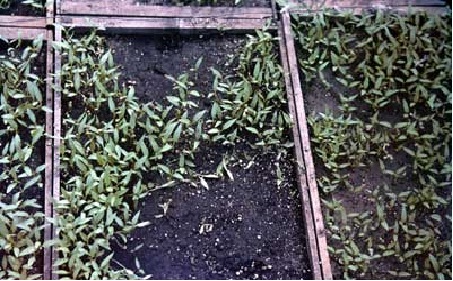 Problem Description The disease of common occurrence In all nursery beds and young seedlings resulting in reduced seed germination and poor stand of seedlings. The disease mainly occurs in nursery beds and seedlings causing reduced seed germination and poor stand of seedlings. 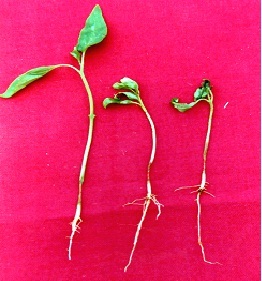 There is softening of tissues near the soil line and the seedlings fall off. The disease occurs in patches, which may enlarge to cover entire bed.